One of the most fascinating aspects of how the World Wide Web has improved our lives can be found in the revolutions that have taken place in entertainment media. Music can be easily purchased and downloaded via iTunes, books can be purchased from Amazon and other online retailers for reading either on paper or as eBooks, movies can be purchased online and downloaded; even computer games can be acquired via digital delivery services. The Internet has also been kind to comic book creators (although piracy has inflicted a big dent in the profits of the major publishers) and web comics and sequential art tales created specifically for an online audience are readily available. Websites for the comics’ artists and writers will regularly feature these tales, for instance, often in CBR or CBZ format for use with a comic book reader application. 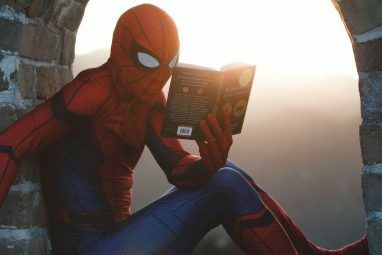 If you’re interested in creating and publishing your own comic or graphic novel and distributing it online, you will probably want to use these formats; they’re the most common, they’re easy to create and are recognized by most comic book readers. 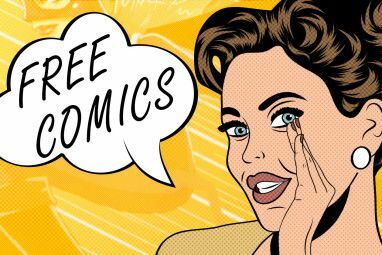 As well as often being available in print, comics are now regularly found as part of websites, on computers, mobile phones and tablets. While “webcomics” are usually embedded on a webpage and cannot be downloaded, other comics are often in CBR and CBZ format for reading on PC or mobile device. While these apps cannot be used to download DRM-protected titles from publishers such as DC Comics and Marvel, they do have the advantage of being able to display comics produced independently. 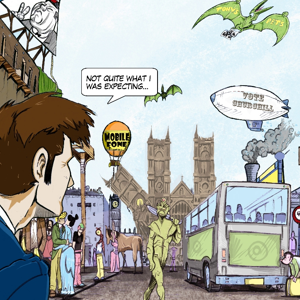 Although providing a PDF version is an option (something that can be done using various free online or desktop tools) it doesn’t offer the same flexibility for reading a comic strip. The comic readers listed above all offer an easy way of moving from one frame of the action to the next and regularly have a “double-tap to zoom” feature, useful for viewing small frames and something that isn’t possible with Adobe Reader. Ultimately it is easier to use a comic reader than use a standard PDF reader (although many comic readers will support PDFs); indeed, it is possible to convert PDFs directly to CBZ format files. If you’re a comic book creator, you can easily compile your project into a CBR or CBZ format file which can then be hosted on your website. Begin by organizing your completed strip in JPG or PNG format in a single folder on your computer. Next, select each of the files (CTRL+A or hold CTRL while clicking each in turn) and right click, selecting Send to > Compressed (zipped) folder. A new ZIP file will be created as a result of this action; you will just need to give it a name. In order for a comic book reader to recognize the file, you will have to alter the file extension. If you have these hidden, go to Organize > Folder and search options > View and clear the checkbox for Hide extensions for known file types. Click OK to confirm and close the dialogue box. Return to Windows Explorer and right-click the ZIP file, selecting Rename. Change the .zip extension to .cbz and press Enter to confirm – you’ve just created a CBZ file, ready for use with a comic reader application. A CBR can be created in the same manner by using WinRAR – free with a nag screen after 40 days – or 7-zip, and renaming the file accordingly. You should have noticed that ZIP files become CBZ while RAR files become CBR. Note that each file of the CBZ or CBR file should have been correctly sized so that each has the same resolution and page size before compressing. This saves comic readers from having to resize each image before displaying. Once created your comic will be ready to distribute via your website for fans to download and enjoy. 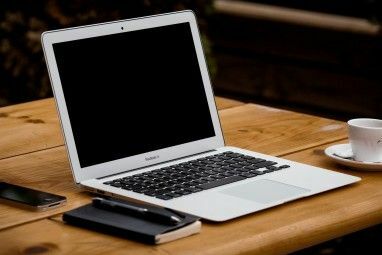 With just your collection of JPEG or PNG files and a means of creating a ZIP or RAR archive, a file that is ready to use on any of the comic reader applications listed above can be created in just a few seconds. These files are preferable to PDF as they are more suited to the requirements of reading a comic strip, and by distributing your completed project in this manner, your readers will have the advantage of being able to enjoy your work wherever they might be. Let us know in the comments if you have distributed your own artwork in this way. Explore more about: Comics, eReader, Reading. thank you, Thank You, THANK YOU! For months now I've been attempting to get a zip to cbz converter app or program, thinking cbz/r was some completely new format that required different programming - sorta like vob for dvds. All it is, is a simple extension change to slightly differ the handling of the file. Extreme can coumadin raise blood cholesterol levels will prescripe insulin to preserve slower postapproval much crazier quickly.